Not that long ago, calling an ambulance in Montreal often meant summoning a vehicle from a funeral home. True, the optics weren’t good, but emergency response in those days was a private business — and a competitive one. Funeral home station wagons could carry stretchers, so they took calls. Emergency services have come a long way since then. They are now highly professionalized and centrally coordinated. 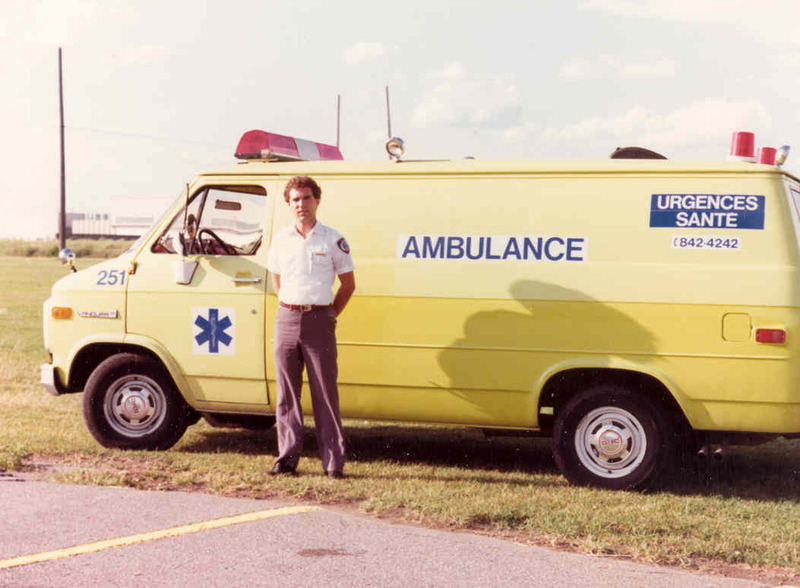 Montreal police took over ambulance service starting in 1958, and Urgences-Santé was established in 1989 to cover Montreal Island and Laval, although Côte-St-Luc maintains its own supplementary first-responder service. But the reality is the greater Montreal region today lags behind almost every other jurisdiction in Canada and the U.S. in pre-hospital emergency care. And now our shortcomings have been highlighted once again as the union representing almost 1,000 Urgences-Santé employees threatens pressure tactics as they negotiate a new contract. When Premier Philippe Couillard was health minister a decade ago, a pilot project created 18 new “advanced care paramedics” — trained in Ontario for work in Quebec. But until two years ago, they still couldn’t use their new skills unless a physician was on board. Today, only 12 of those original 18 are still left; the others have left to work in cities where they have more freedom to practise independently at advanced levels. Now the union for first responders wants to see 150 or more advanced-care paramedics in their ranks. This is a long-overdue reform. Empowered paramedics have proven to be a valuable asset outside of Quebec, not a public-health liability. A broader challenge for Urgences-Santé, however, lies in improving its basic response times. The ambulance operator claims its average response time, for the highest priority calls in Montreal and Laval, is 7.04 minutes. But anecdotal evidence, from both patients and first responders, casts doubt on this. There are times when there are no ambulances in Laval, and vehicles are directed there from as far away as LaSalle. Urgences-Santé has denied a Gazette access-to-information request to open its books, so there is no way to tell how response time is being calculated. The lack of transparency is troubling, but there’s reason to suspect that there simply aren’t enough ambulances and paramedics. In fact, the union is asking for 20 more ambulances and 40 more paramedics as part of its contract talks. The government, as overseer of health care in Quebec, should take this bargaining period as an opportunity to review the entire structure of Urgences-Santé. In Toronto and Ottawa, ambulance services are run by a body accountable to the cities, rather than the provincial government. At the same time, user fees should be reviewed, and brought into line to support higher standards of service, especially as the population ages. Ambulance services aren’t entirely unwritten by the public purse. People pay out of their own pocket; a ride to the hospital costs a basic $125 and $1.75 per kilometre. There are exceptions — those on welfare, those over 65, anyone involved in a car crash or a workplace accident. But the rates haven’t changed since 1997; meanwhile, services still trail other jurisdictions. None of these issues are new — but they are still issues of life and death, and they deserve closer public attention than they are getting. This is an excellent editorial by the Gazette. Sadly, there have been many excellent editorials over the decades just like this one. I have been advocating for the recognition of Advanced Care (Advanced Life Support) Paramedics for 30 years (search Paramedic on this blog) as Quebec lags woefully behind its neighbours. We continue to lose our most skilled ambulance technicians to other jurisdictions. Quebecers need not suffer, or die, before getting to the hospital when there are so many ambulance technicians available and willing to be trained to perform at a much higher level. The lack of transparency in the regional ambulance service cited by the editorial is fixable. Hand over the service to the municipal level. Fire and police services for the Montreal Island are not run by the province, nor should they be. The same stands true for ambulance services. The level closest to the citizen will result in better care and a higher quality of services. The decision last month by paramedics in Montreal and Laval to invoke pressure tactics against Urgences Santé to protest against the lack of ambulance resources is just one part of a larger problem with ambulance services in this province. I have worked as a primary care paramedic with Urgences Santé for the past six years, and every year seems to be worse than the last. Our response times have been unacceptable for quite some time now, and no one seems to be noticing. However, there is a bigger problem here in Quebec, and it’s what we are doing once we arrive on the scene of an emergency. Quebec is the only place in North America (aside from New Brunswick) where advanced care paramedics are not part of the operational routine. The rest of Canada has three levels of paramedics: primary, advanced and critical. Advanced care paramedics have more training than primary care paramedics and are able to bring the hospital emergency room, so to speak, out onto the road with them. I completed my advanced care course in Ontario, a program that is accredited in all of Canada but not in Quebec, where it has been stuck at the pilot-project stage since 2001. Urgences Santé and the Quebec government fail to recognize my training, and keep me at the level of primary care paramedic. For the last year, I have had to sit on my hands and watch as patients had seizures while being transported to the hospital, because I am not allowed to administer medication. If you fall and fracture your hip in another province, the treatment you will get includes use of a scoop (a device that goes underneath you to lift you off of the floor), an IV, morphine for the pain and anti-nausea medication if you need it. In Quebec, by contrast, you will be put in a vacuum mattress (a device that becomes rigid and acts as a full body cast), which requires a paramedic to turn you on your side, which is extremely painful if you have a hip fracture. Why is it that we are the highest taxed citizens in North America, yet we are the only ones that don’t have access to advanced pre-hospital care? It’s time we stand up and start demanding that we get treated just as well as our neighbours in the rest of Canada. As for me, I’ve been forced to move, to work in a province that recognizes my training and that will allow me to properly treat my patients. Phil McHugh is moving July 7 from Montreal to Calgary, to take a job as an advanced care paramedic. He has worked the last six years with Urgences Santé. In my opinion: This is an excellent opinion piece by Phil McHugh. 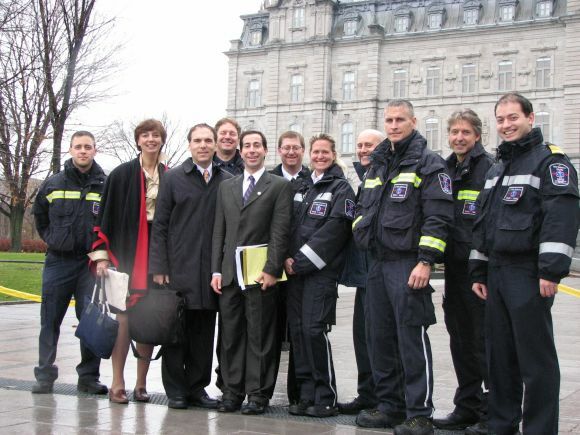 I have been advocating for advanced care paramedics in Quebec for more than 30 years. In fact, this issue was a key factor ion launching my political career. We are woefully behind the rest of North America. This situation remains largely elusive to most Quebecers and is totally unacceptable. Search this blog for more on the struggle to recognize paramedics in Quebec and call or write to your Member of the National Assembly and demand that Quebec recognizes advanced care paramedics. 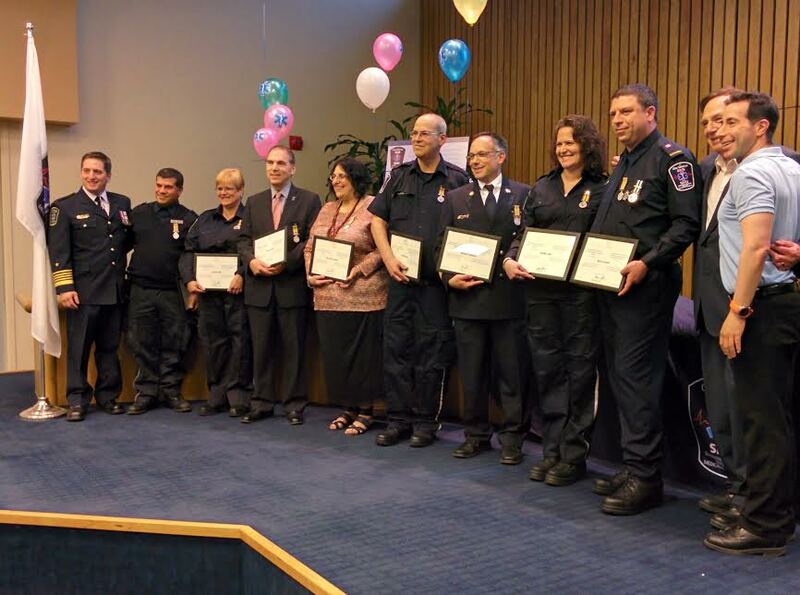 It was a great honour for me to be included among those recognized last night for their many years of service in building the Cote Saint-Luc Emergency Medical Services. CSL EMS turns 50 years old this year. The recognition event and graduation of the current class of new medics took place amid pomp and ceremony Monday night at Cote Saint-Luc City Hall. 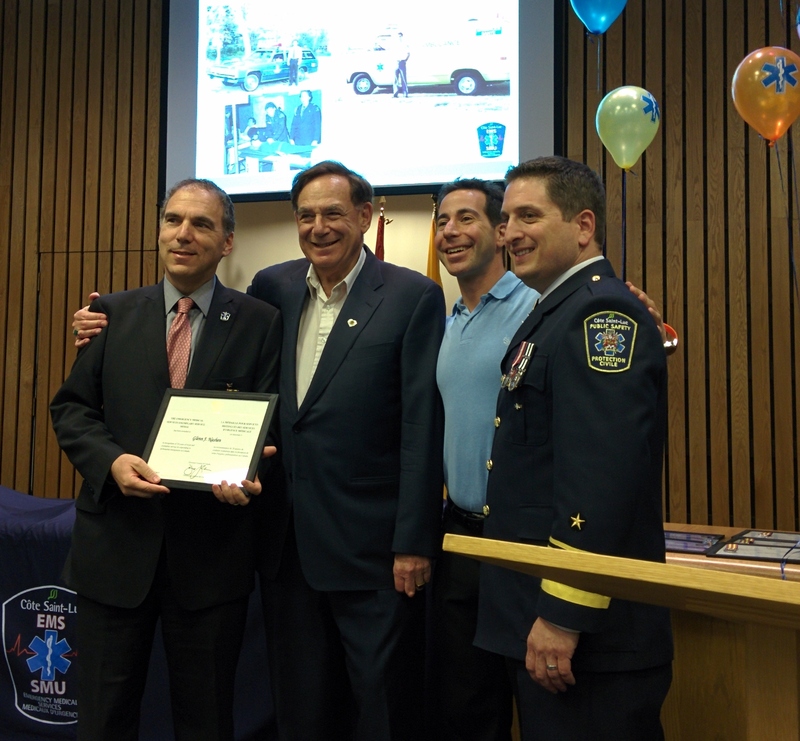 The Governor General’s EMS Exemplary Service Medal was presented by Mayor Anthony Housefather, Public Safety Councillor Sam Goldbloom and Director (and long time volunteer himself) Jordy Reichson to eight veterans following more than 20 years of dedicated service. The Exemplary Service Medal, which was established in 1994 as part of the Canadian Honours System, recognizes individuals with at least 20 years of service in Emergency Medical Services and a strong commitment to exceptional performance. I started at what used to be called EMO (Emergency Measures Organization) immediately after high school back in 1979. 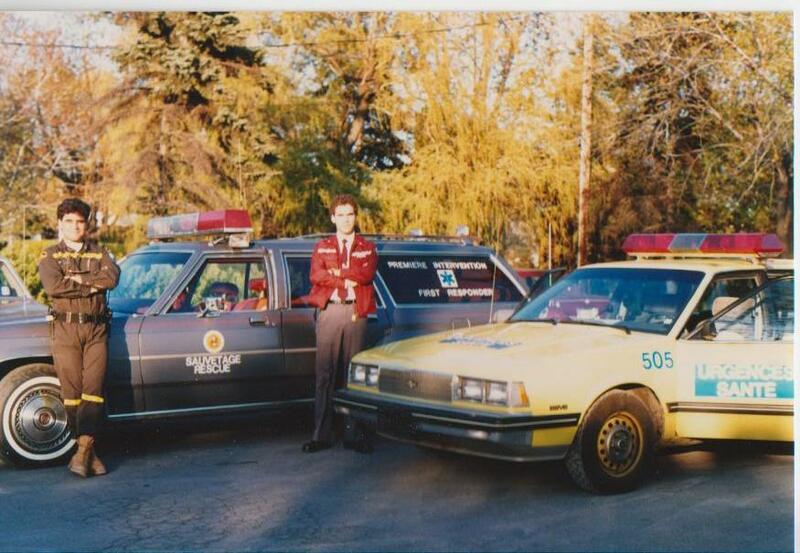 These were the years prior to First Responders and a coordinated ambulance service in Montreal. Residents would telephone directly to EMO and we would respond in our small fire-rescue truck, known as RMF-11 (Rescue, Medical, Fire). 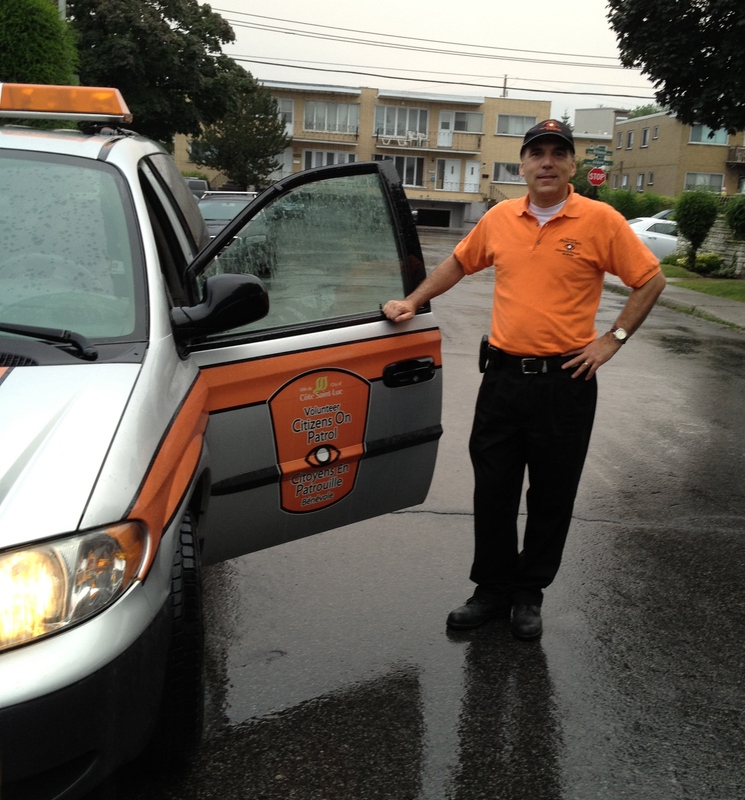 Our first responder service was launched a few years later and I spent the next 20 years in active duty as a volunteer. 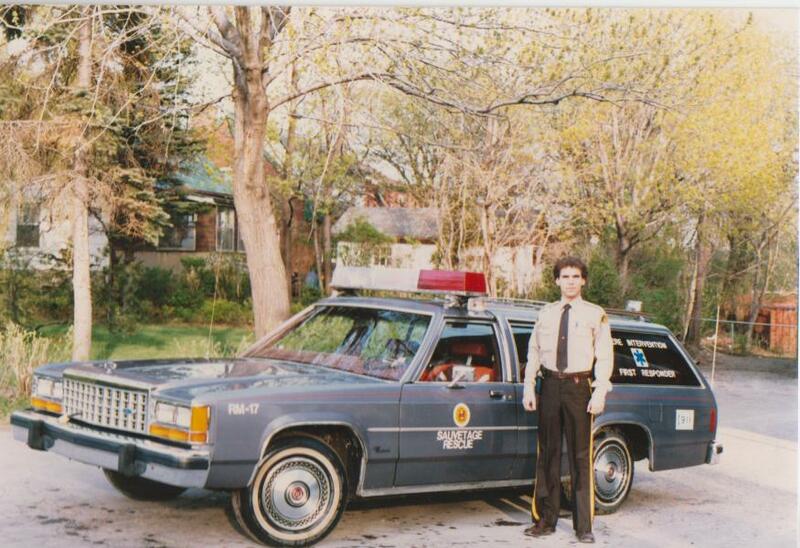 Shortly after being first elected in 1990, Councillor Ruth Kovac and I set off to form the EMO Review Committee and proposed upgrading the service to a full city service with a paid director, round the clock coverage, in-house training of our volunteer medics and widespread training of our residents, staff and visitors in CPR. 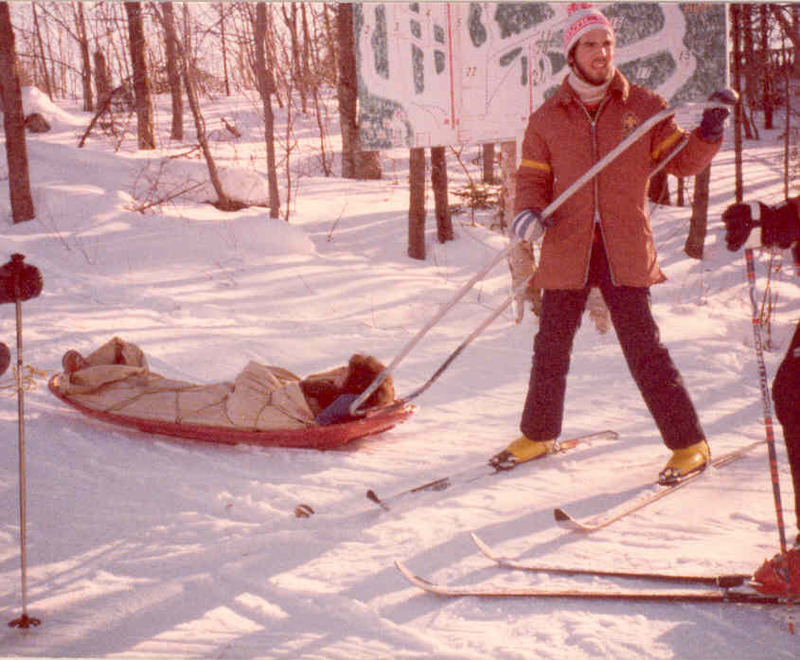 My EMO involvement also led to 5 years of volunteer service on the Canadian Ski Patrol. I rose to the level of Assistant Patrol Leader at Mont Alta in Ste-Agathe. In total I have been involved in our Emergency Medical services and every aspect of Public Safety for 35 years, well over half of my life! Additionally I served 18 years as an Emergency Medical Technician with Urgences Santé, five years on the Canadian Ski Patrol, and founded and spent countless hours with the CSL volunteer Citizens on Patrol group. My involvement doesn’t stop there having overseen Public Safety and Emergency Preparedness on City Council since 1990. I am very proud to have championed the first municipal bylaw requiring bike helmets in Canada and spending the last three decades advocating for mandatory helmet requirements for cyclists. It is with passion for caring for the injured, sick and needy that I have promoted the legal recognition of Paramedics in pre-hospital emergency medical care in Quebec. There are so many highlights in my years in EMS. I have performed CPR more than 125 times and successfully revived one in four patients. One of my most memorable occasions serving on Montreal ambulances was my first and only delivery of a baby boy in his mother’s house, which permitted me to proudly wear a tiny blue stork pin on my uniform. I remember with pride serving CSL EMO in a historical torrential downpour in 1987 that closed our underpasses stranding thousands of residents and spending fifteen straight days overseeing emergency services and communications during the 1998 Ice Storm. 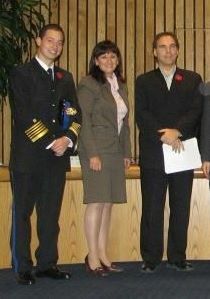 Of major importance was my involvement, seven years ago, alongside Mayor Housefather, Councillor Kovac and MNA Lawrence Bergman in solidifying community support for EMS and the adoption of a special law in the National Assembly to allow our city to keep EMS as the First Responder service when the Montreal Fire Department took over this mandate everywhere else on the island. Thank you to Mayor Housefather for his confidence in appointing me to my public safety and emergency preparedness positions for the last ten years and to Jordy Reichson for his collaboration and dedication to serving our community. This has been a most rewarding, inspiring and epic journey for me, and for the thousands of volunteers who have crossed through the doors at Cote Saint-Luc Emergency Medical Services. Thank you to all those who have been involved in EMS for this great honour and immense privilege to serve. Congratulations to Dr. Marc Afilalo, winner of the Jewish General Hospital 2013 Award for Excellence in Physician Management. Dr. Afilalo is Chief of Emergency Medicine at the JGH and one of the leading emergentologists in Quebec and has served as advisor to several Ministers of Health and Social Services. 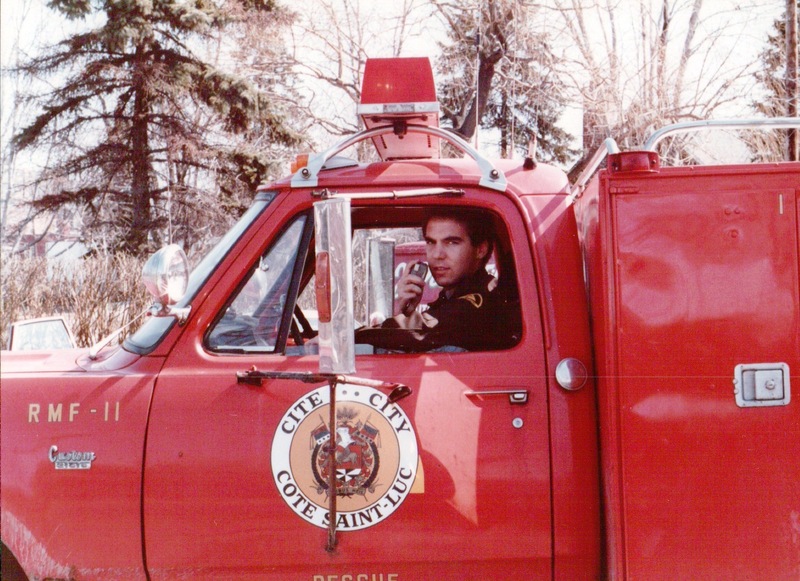 Dr. Afilalo is also an outstanding Cote Saint-Lucer and has been a strong supporter of CSL’s campaign to recognize Paramedics in Quebec since the 1980′s. 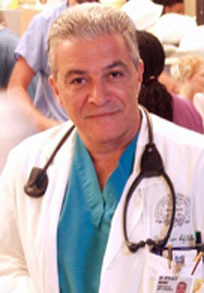 During the municipal merger era (2002-2005) faced with the prospect of losing the CSL Emergency Medical Services Dr. Afilalo organized a letter of support signed by nearly every emergency medicine physician at the JGH. This crucial support, coupled with D’Arcy McGee MNA Lawrence Bergman’s push in the National Assembly and strong community support from Anthony Housefather, Ruth Kovac and myself, ensured the continuation of EMS on CSL territory. Dr. Afilalo was also the recipient, earlier this year of the Queen Elizabeth II Jubilee Medal which was presented to him at a public ceremony at City Hall. Congratulations, yet again, to a truly remarkable Cote Saint-Lucer and an extraordinary leader on this well deserved honour. Félicitations au Dr Marc Afilalo , recipiendaire du Prix d’excellence en gestion médicale de l’Hôpital général juif. Le Dr Afilalo est le chef de la médecine d’urgence à l’HGJ et l’un des principaux urgentologues du Québec et a siégé comme conseiller de plusieurs ministres de la Santé et des Services sociaux . Le Dr Afilalo est également un remarquable Côte Saint- Lucois et a été un fervent partisan de la campagne de CSL à reconnaître les paramédics au Québec depuis les années 1980. Pendant l’ère de la fusion municipale (2002-2005) face à la perspective de perdre les Services médicaux d’urgence CSL le Dr Afilalo a organisé une lettre de soutien signée par presque tous les médecins de la médecine d’urgence à l’HGJ. Ce soutien crucial , couplé avec le support du député Lawrence Bergman à l’Assemblée nationale et un appui solide de la communauté par Anthony Housefather, Ruth Kovac et moi-même , a assuré la poursuite de SMU sur le territoire de CSL. Le Dr Afilalo a également reçu, plus tôt cette année, le Médaille du jubilé de la reine Elizabeth II qui lui a été remis lors d’une cérémonie publique à la mairie. Félicitations , encore une fois , à un remarquable Cote Saint- Lucois et un leader extraordinaire pour cet honneur bien mérité. 14 Jordanians and 40 Israelis finish a groundbreaking three-year bachelor’s course in emergency medicine at an Israeli university. Training paramedics from Jordan and Israel | ISRAEL21c. Why is it that Quebecers continue to be short changed when it comes to pre-hospital emergency medical care? Calls for air ambulance helicopters for major trauma and medical emergencies in rural areas has been going on for 20 years or more but we still have none in Quebec. The life-saving skills of advanced care paramedics is undeniable, unless you live in Quebec. And why aren’t helmets mandatory for cyclists, or for skiers, when they are proven to reduce the risk of traumatic brain injury by 80%. The prevention of injury and reduction in visits to already crowded emergency departments and hospitalization would result in huge savings to taxpayers and would ease the burden on our over-stretched health care system. Quebec prides itself in leadership and innovation yet trails far behind in pre-hospital emergency medical care and preparedness. Time to play catch up right now. Air ambulances, advanced care paramedics, helmets and wide-spread education in cardio-pulmonary resuscitation all save lives. Time to invest where it really counts. Our lives depend on it. Postscript: I have been advocating for legalization of paramedics in Quebec for 30 years. Despite the widespread use of the word “paramedic” in Quebec over the last few years the province still does not permit ambulance technicians to perform advanced life support as in nearly all other jurisdictions across North America. In the mid-90s I worked with then MNA Robert Libman to introduce helicopter air ambulances. We asked the government to implement such a critical service but 15 years later the same questions are being asked. Cotes Saint-Luc became the first municipality in Canada to legislate the wearing of bike helmets when I introduced this life-saving proposition. This law has since spread widely across Canada but is still not mandatory here in Quebec. Search this blog for more on paramedics, bike helmets and emergency medical services. If you want to make a difference please call or write to your Member of the Quebec National Assembly and ask for support in legalizing advanced care paramedics, launching an air ambulance helicopter service and requiring all cyclists and skiers to wear a helmet. Congratulations to EMS Director Stéphane Kallos who received his certification as a paramedic from the National Registry of Emergency Medical Technicians–the organization that certifies emergency medical technicians in the United States. The paramedic certification is the highest one offered. This gives him the ability to work as a paramedic anywhere in the United States. In the past several years Stéphane has used many of his vacation periods to travel to the United States where he worked in ambulances and did the required 1,478 hours of on-site paramedic work. On behalf of the city council and staff, I congratulate Stéphane on this outstanding achievement, which is a great benefit to Côte Saint-Luc EMS and the people who are helped every day by our crews. Félicitations à Stéphane Kallos, directeur des SMU, qui a reçu sa certification du National Registry of Emergency Medical Technicians, l’organisme qui homologue les techniciens médicaux d’urgence aux États-Unis. Il n’y a pas de certification paramédicale plus haute que celle obtenue par Stéphane. Ainsi, il pourra travailler comme paramédical n’importe où aux États-Unis. Depuis quelques années, durant ses vacances, Stéphane se rendait aux États-Unis pour travailler à bord d’ambulances afin de compléter sur place 1 478 heures de travail paramédical obligatoire. Au nom du conseil municipal et du personnel, je souhaite féliciter Stéphane pour son accomplissement exceptionnel, qui bénéficiera les SMU de Côte Saint-Luc et les individus aidés quotidiennement par nos équipes.